As fall approaches, we are facing shorter days. We will set our clocks back an hour on November 4, to gain an hour of sleep, but do people get adequate sleep every night? We want to remind individuals of the importance of adequate sleep and how the lack of it can cause health problems. 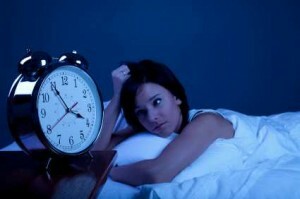 Fifty to 70 million Americans are affected by chronic sleep disorders and intermittent sleep problems. Untreated, these sleep disorders have been linked to hypertension, heart disease, stroke and other chronic diseases. There have been many sleep studies done across the country for several years. In physiological studies performed by well-known institutions such as Harvard, sleep deficit may put a person’s body into a state of high alert; increasing production of stress hormones and driving up blood pressure. Dr. Miller from the University of Warwick explains that a lack of sleep can alter a person’s hormones and chemicals, resulting in an increased risk of developing health conditions such as heart disease, strokes, high blood pressure, cholesterol, diabetes and obesity. Further, in 2007, the Mayo Clinic found that getting less than five hours of sleep a night can increase a person’s risk of death from cardiovascular (CV) disease. Harvard researchers have also recognized a correlation between shift working and cancer. Their studies show that more than 75,000 females who worked rotating night shifts over a ten year period had a significantly increased risk of breast cancer. The females, who worked at least three nights a month for 15 years or more, showed an increased risk of colorectal cancer as well. Hank George, publisher and industry thought-leader noted sleep-related morbidity in his most recent issue of Hank’s HotNotes and posed the question, “Should we be asking middle-aged and older applicants about insomnia and considering (at least female) applicants with the most severe issues as less favorable CV Risks?” In a study done in Norway of over 52,000 adults, 3.3% who reported insomnia almost every night had a 40-50% greater myocardial infarction (MI) risk as well as increased anxiety and depression. It was found that this impact was centered primarily in females, but that age did not have a significant effect on outcomes. A life insurance applicant with any of the described conditions above may have some difficulty when applying for a policy. An applicant may be rated, modified, or in some cases even declined. Living with a medical condition such as the ones listed above, can increase the chance of a person’s mortality. This puts an applicant’s loved ones in danger of not being taken care of financially. In our next blog article we will discuss how our innovative service, Risk IQ, can help rank an applicant based on their medical conditions and identify hidden health concerns that are not always apparent. 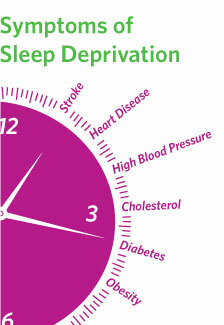 We will also explore options for getting a better night’s sleep and reducing the health impacts of sleep deprivation. Next post: Can sleep deprivation be detected in laboratory results?